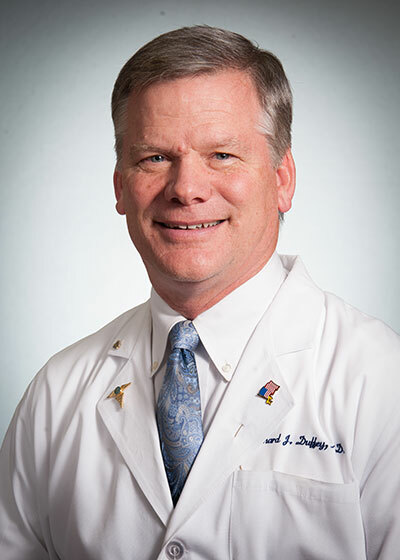 Dr. Duffey joined Premier Medical in 1989 (when it was still Mobile Eye, Ear, Nose and Throat). He is married to Susan Pitz Duffey and they have seven children. He enjoys family time, Catholic Charity Projects, and continues to do Eye Missionary work around the world with Orbis and others in such places as China, Peru, Mongolia, West Indies, Sudan, Syria, India and Central America.